Nadine Labaki is standing taller than usual. 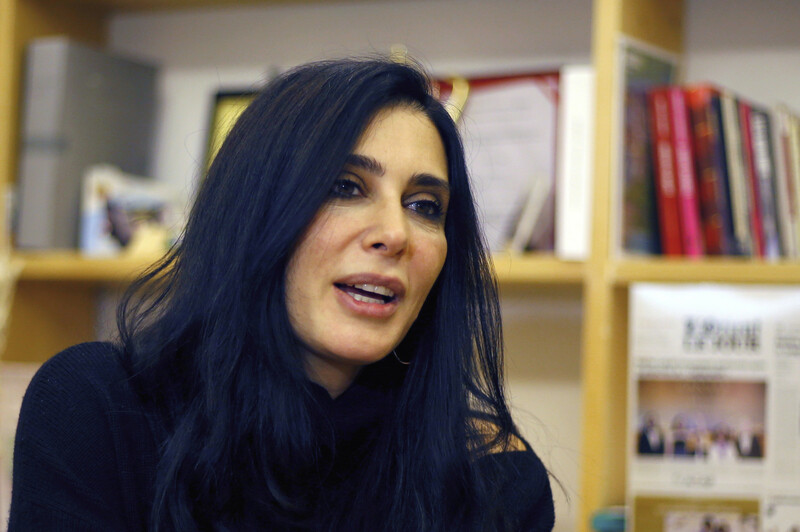 The Lebanese director, a source of national pride, is one of a few Arab female artists to be nominated for an Academy Award. Labaki’s foreign language nomination for ‘Capernaum’ makes her one of the only female directors to compete at this year’s Oscars, which feature another all-male line-up in the best director category. ‘Capernaum’ is Labaki’s third feature film — the latest achievement in a successful career the confident and charismatic Labaki has carved for herself in Lebanon and the region. In her home country, the 44-year-old mother of two is a unifying figure in a fractured political and religious scene and in an industry that unlike in the West, is dominated by women. With her trademark smoky eyes and black hair, Labaki is also an actress who made a name for herself first as a director of videos for top Arab pop music stars. ‘Capernaum,’ the masterful neo-realist drama about a 12-year-old Syrian refugee boy and a Kenyan toddler who live parentless on the streets of Beirut received a 15-minute standing ovation in the Cannes Film festival and won the Grand Jury’s prize. The United Nations called it “inspiring” and Oprah Winfrey gave it a shout out on Twitter. Lebanon’s Foreign Minister said ‘Capernaum’ “was a Lebanese touch” on the international movie industry. ‘Capernaum’ faces against stiff competition from ‘Roma,’ an awards season favourite that has four Oscar nominations including best picture. Labaki’s nomination is the second in the foreign film category for Lebanon in as many years — reflecting the small country’s rising start in a region brimming with as much talent as it is with political turmoil. Labaki called the making of the movie a life-changing journey that started four years ago. Its theme resonates beyond regional politics, she said. “We can’t help but acknowledge that there is a certain fear of refugees in general around the world and there are these walls we are building, and this fear that keeps growing. [When] you see this kid with so much potential and so much wit and smart and heart and so much resilience and strength, you can’t help but break all the cliches that you might have in your head,” she said. ‘Capernaum’ is led by a non-professional cast: a young Syrian boy named Zain, a Kenyan toddler girl, Yonas, who plays the role of a boy. In the film, Zain sues his parents after they fail to protect his little sister against child marriage and for continuing to have children they are unable to care for. 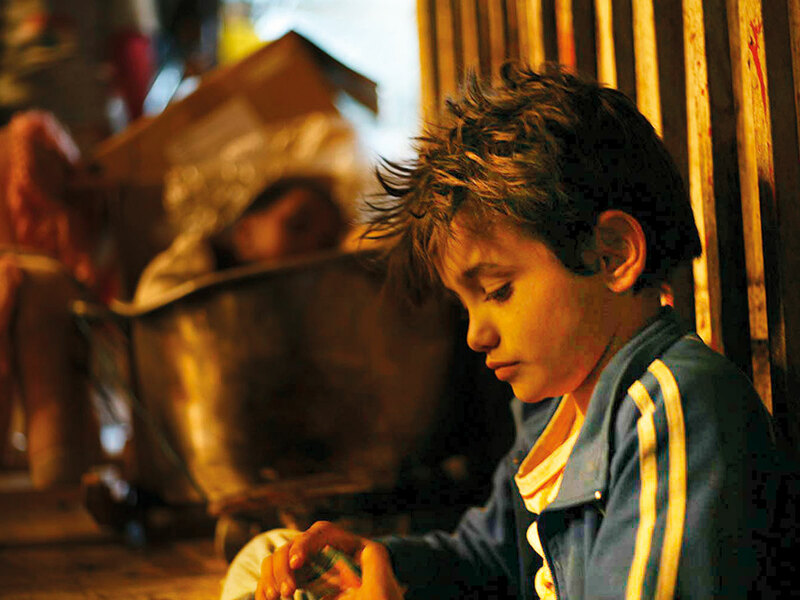 ‘Capernaum’ humanises the real struggle of people mentioned in the news only fuelling fear of strangers, Labaki said. The film is named after a biblical village cursed by Jesus and has come to be synonymous with chaos. For the cast, ‘Capernaum’ offered a platform to tell their real story. The Syrian refugee has now found a home in Norway. The Kenyan toddler returned home. Labaki is making a documentary on the life of the actors after the film. Labaki’s movies have demonstrated wit and humour in tackling Lebanon’s complex politics, winning her local and international acclaim. In ‘Caramel’, which was a runner-up in 2006 for nomination in foreign film category, she dug into the lives of ordinary women from different religious backgrounds as they struggled with tradition, their own sexuality and aging. Her 2011 film ‘Where Do We Go Now?’ is a tale of a small village’s brush with religious tension where women bond to stop local men from fighting. “I have never really felt the difficulty of my job as a woman or the difficulty to achieve anything because I am woman. Maybe because I have never felt it, [so] I never reflected it. “I never felt any doubt from anyone regarding what I can do as a woman,” she said.